Instead of having mom or dad prepare breakfast on Sunday morning, make it a family event. Everyone gets assigned a task and uses the time to nurture a strong bond between parents and their children. Even the youngest child can participate by pouring juice, buttering toast, or helping to set the table. Take some time out and get together with other parents in the neighborhood. Make this a block party, barbeque, or simply a time for parents to get together and talk about some of the unique challenges nearly every parent faces. This also gives the children a chance to meet other children they may not have an opportunity to get to know because of conflicting school, or activities conflicts. Another exciting option for celebration is to decide as a family on a new tradition. One need not spend money to start a new tradition. Consider going to a public historical site, a national park, or simply going on a long drive for the day. Family traditions can have a significant impact on our families and create life-long memories. Consider getting a group of parents together and having an open discussion about workplace policies, state level legislation, or federal legislation that has an impact on working parents. Parents can team up and write letters of support, or letters of disapproval to their representatives to let them know how they feel about legislation, how it will impact them as parents, and why they approve or disapprove. This is a great way to get to know other parents while having an impact on our communities. Parents who are interested in raising awareness of parenting in their communities could consider organizing a community event. Families can have a positive impact in their community by setting up an annual event such as a family luncheon at a local hall, planting a community garden, or cleaning up a local playground as a family. 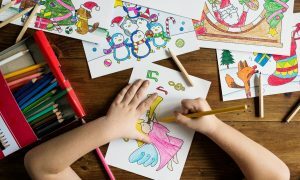 Organizing an event that incorporates doing something worthwhile for your community while involving children of all ages is an ideal way to celebrate parents day and bring more attention to the strength of families in your community. Whether you elect to celebrate Parents’ Day with your family, neighbors or your entire community, you have an opportunity to make a real difference in the life of your children. 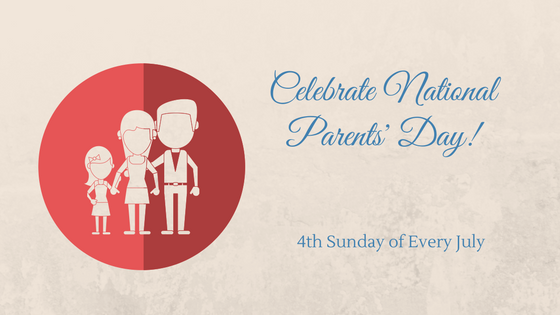 Not only will you be celebrating the contributions of parents, but the strong bond between children and their parents.